Macy’s is the founding national sponsor of Go Red for Women and has raised $65 million since 2004 – all for the prevention of heart disease in women! To help raise funds this year, they’re hosting the Wear Red Sale from Jan. 31 to Feb. 5. Wear red to shop at the store, or purchase the official Red Dress pin, and you’ll receive a storewide discount! 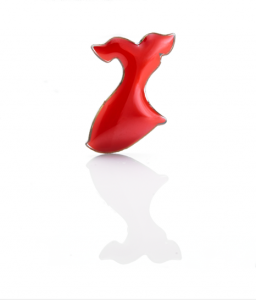 Macy’s is also donating 100% of the proceeds from the $3 Red Dress pin back to the Go Red cause! Even better? This promo will be combined with the storewide 20% discount at our Lady in Red event on Friday, February 2! Learn more about the event and get your tickets now at 2018LIR.eventbrite.com. Previous PostLady in Red: New Location!Next PostHave a Mini Fashionista or a Dapper Dude?